This publication provides a checklist for landowners and companies to promote trust and cooperation. the checklist provides a list of procedures that should be addressed to reassure the land will be returned, as close as possible, to it agronomic productively level. 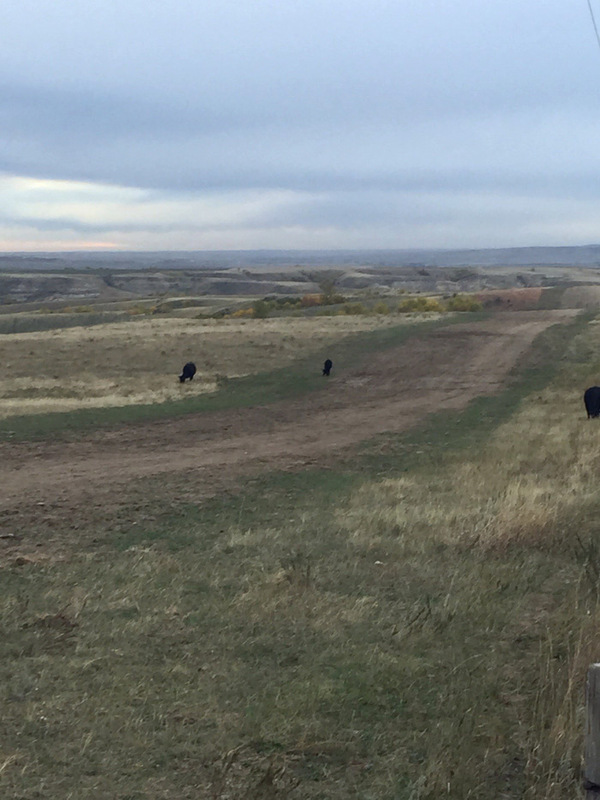 The final phase of most oil- and gas-related pipeline and well pad development is reclamation. 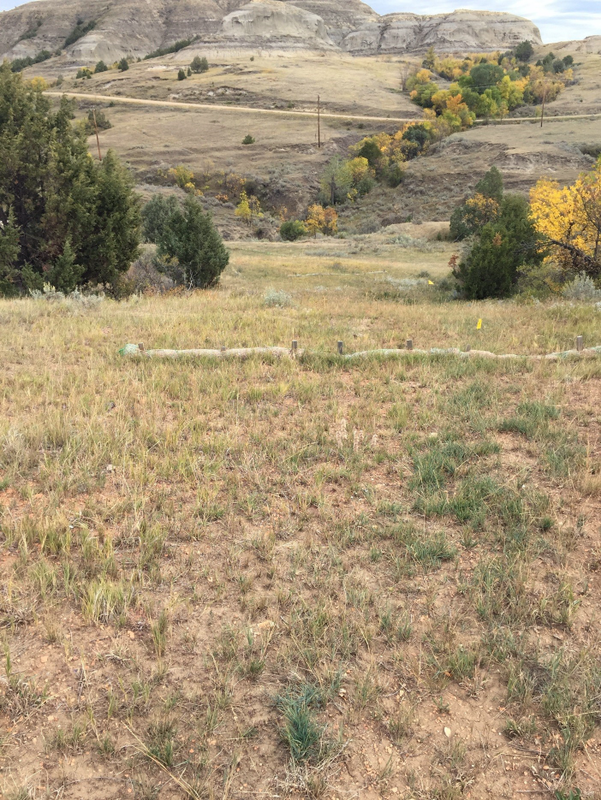 The success of a reclamation project has many variables, but the primary causes of difficulties are a lack of knowledge of surface owners’ rights and poor planning before signing an easement that pertains to an oil- and gas-related project. When negotiations occur to develop a pipeline, well pad, or any oil- and gas-related project, discuss the reclamation component while you discuss an easement or contract for construction. You don’t need to agree upon who performs the reclamation task, but you should agree on what the land should look like once the project is complete and who is responsible for achieving that outcome. This publication provides a checklist for landowners and companies to promote trust and cooperation. The checklist provides a list of procedures that should be addressed to assure the land will be returned, as close as possible, to its agronomic productivity level and ecological function. For cropland: Soil layers (top soil, subsoil, etc.) need to be replaced in the proper order and the original depths if possible. For range and pasture land: The plant community ecological function should include reseeding of appropriate plant species, reconstructing soil layers and landscape grade, and developing a proper, weed-free seed bed. The checklist will allow landowners and mineral developers to segregate land type and use. Examples of land type and use include cropland, rangeland, pastureland and hay land. The checklist should be used to determine types of information to consider in a reclamation project. We recommend that baseline data be collected. Any reclamation project also should include a description of the soil and plant community (when applicable), presence of noxious and invasive weeds, areas of potential erosion, and landscape (drainage patterns and slope). Who Collects the Baseline Data? Baseline data will provide the fundamental description of the site where construction will occur. The landowner can collect this data or hire a technical services provider to develop a report describing each component in the checklist. A final report should be provided to the company. The report should state clearly how the reclamation project should be conducted to restore the land as close as possible to pre-construction conditions. Recommended seed mixtures and rates should be determine for range, pasture and hay land, and should include the best options on when to seed. A compensation packet should address lost grazing and/or crop income (usually two years for range and pastureland; one year for cropland). Each landowner’s situation is unique and generally poses different issues that need to be addressed during reclamation. A challenge for landowners and mineral developers is identifying and negotiating reclamation issues at the time an easement or surface use agreement is created, which may be several years before reclamation will occur. In preparing to negotiate, landowners may want to visit with adjacent landowners and farm/ranch operators, tenants and other people about their experiences. Such conversations often provide insight on topics for the landowner to consider and negotiate. All the suggested topics do not need to be addressed by every landowner, but a neighbor may mention an issue that the landowner had not yet recognized. Note: You are responsible for negotiating the terms of compensation. If you need advice or assistance in making a settlement, you should consult private counsel. State law (North Dakota Administrative Code §43-02-03-19) requires that in constructing a well site, access road or associated facilities, the topsoil must be removed, stockpiled and stabilized so it can be used when the area is reclaimed. The well site and facilities may not be located in or hazardously near water and may not block natural drainage. A reclamation plan for topsoil also is mandated. Within six months after the completion of a well, the portion of the well site not used for well operations must be reclaimed; the well site and associated facilities must be stabilized to prevent erosion. North Dakota law (North Dakota Administrative Code §43-02-03-34.1) requires a well site, access road and associated facilities to be reclaimed as closely as practicable to its original condition within a reasonable time (but not more than one year) after a) the well is plugged, b) the drilling permit expired, was canceled or was revoked, or c) a treating plant was decommissioned. Prior to site reclamation, the well operator must file a reclamation plan for approval by the state government. The well operator also must provide a copy of the proposed reclamation plan to the surface owner at least 10 days prior to commencing reclamation. The reclamation plan should describe the proposed reclamation work (including topsoil redistribution and plans for reclaiming the access road and associated facilities) and reseeding plan. State law (North Dakota Administrative Code §43-02-03-34.1) mandates that all equipment, waste and debris be removed from the site. Flow lines must be purged; flow lines buried less than 3 feet below the final contour must be removed. Gravel or other surfacing material must be removed; stabilized soil must be remediated; and the well site, access road and other associated facilities must be reshaped as near as practicable to original contour. However, a surface owner may waive the requirement of reclaiming the site and access road if the owner wants to retain the road on the land. North Dakota law (North Dakota Administrative Code §43-02-03-34.1) also requires the stockpiled topsoil to be distributed evenly over the disturbed area and the area revegetated with native species, or according to reasonable specifications of an appropriate government land manager or surface owner. However, North Dakota law authorizes state government, with the consent of the appropriate government land manager or surface owner, to waive the reclamation requirement after a well is plugged. Landowners should seek the counsel of appropriate professionals. All waste associated with exploration or production of oil and gas, or resulting from a spill or leak must be disposed of properly. (North Dakota Administrative Code §43-02-03-19.2). Landowners may want to reiterate these legal requirements in any surface use agreement they reach. Landowners also should be cautious that they do not inadvertently waive any of these legal requirements in the surface use agreement. Again, landowners should work with appropriate professionals before signing a surface use agreement, easement or any other legal document. Clarify that the surface-use agreement or easement is not a one-time discussion, but the beginning of a business relationship that will continue as long as the mineral developer is using the landowner’s property. Require that impacted areas be reclaimed as they are developed, used and abandoned. Mandate that all reclamation plans be provided to the landowner as they are submitted to the state. Require an opportunity to discuss the reclamation plan as it is being developed, reviewed and finalized. Specify a practice of discussing reclamation as the reclamation is being conducted; include an expectation of reviewing and discussing reclamation activities. Require that the landowner be notified when the obligation to complete the reclamation is assigned or transferred to another entity. The notice of the transfer must identify the assignee and its contact information so the landowner knows who is obligated to complete the reclamation. Mandate mediation or arbitration in case of a dispute. Specify attorney’s fees as part of future damages if the agreement needs to be enforced. Do not waive the right to receive future compensation for future damage, Do not accept any initial compensation as fulfilling the amount that may be owed for all future time. Require that fences be reconstructed and maintained to normal ranching/farming practices and standards. Specify the installation of necessary cattle crossings. Require that the mineral developer reshape the surface, fill excavations and refill excavations if necessary. Require that the mineral developer reseed/re-establish cover/grass. Mandate that areas be seeded more than once if necessary. Require the mineral developer to use water and discharge water, and use and reclaim waste pits as required by state law. Address the depth of buried pipelines. Mandate that the mineral developer reimburse/indemnify the landowner for damages/liabilities owed to third parties. Also specify that the mineral developer will hold the surface owner harmless. Include language that specifies liability for environmental cleanup is on the party who caused the problem. Require that all litter (debris) be removed. Specify that the mineral developer maintain the roadway. Specify that the mineral developer maintain drainage, control soil erosion, and locate and maintain culverts appropriately. Specify that the surface use agreement does not terminate until the cleanup/reclamation is completed. The fact that soil, water, minerals and other natural resources must be managed carefully to sustain them into the future is well-understood. When multiple entities are co-managing intermingled resources, the operators and owners must thoughtfully discuss and document each party’s responsibilities. Although reclamation of the surface is only one component of these intertwined activities, it is a vital step that needs to be considered as development is initiated. Waiting to consider reclamation until mineral production or facility construction is completed is too late. NOTE: Minimizing the project footprint will reduce negative impacts on the resource and improve the reclamation success.